Harmless side effects of dagga can include temporary memory loss, after excessive consumption. However, the effect doesn’t long, typically. The cannabinoid receptors – the membranes in the body that work with dagga’s active compounds – can interfere with the hippocampus’ ability to form memories. The main reason why may use dagga or marijuana for recreational purposes is to relax the brain and the body. THC (short for ‘Tetrahydrocannabinol’ – dagga’s active chemical compound) stimulates the brain to release chemicals that promote relaxation. This side effect of cannabis is harmless: It’s effective for reducing anxiety and stress (though it can slow or affect perception). 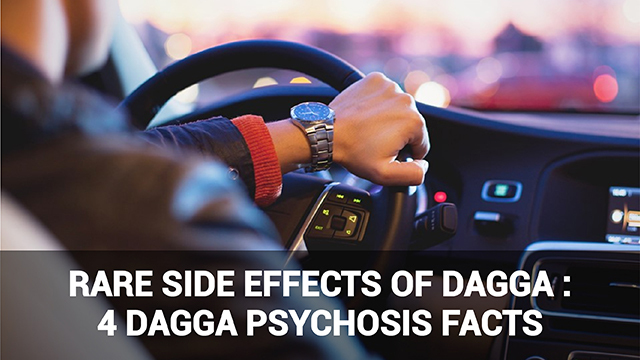 Dagga consumption’s basic side effects include disorientation and loss of focus. The “high” makes it difficult for the user to focus and concentrate on certain activities that require close attention. Tetrahydrocannabinol (THC) is the main ingredient in weed that produces the relaxing effect. One of the most obvious side effects of THC is impaired fine motor control. Many users report feeling disconnected from their own muscle movement while under the effects. Increased appetite (commonly called ‘The Munchies’) is one of the most common and widely-experienced side effects of dagga use. Smoking weed or using dagga in another form elevates your heart rate. Research shows that the presence of marijuana’s active ingredients in the body can increase your heart rate by up to 50%. 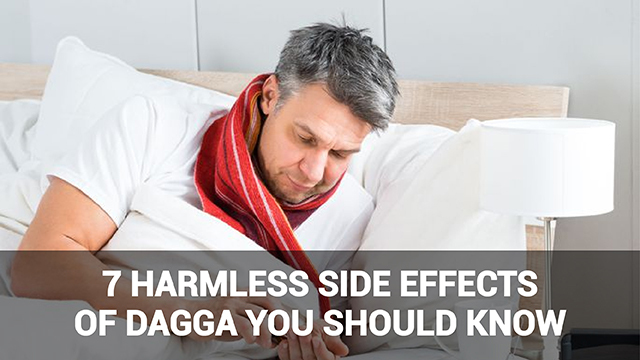 Consuming large amount of dagga thus can lead to an increased chance of having a heart attack, yet this side effect remains a low threat if you use medical dagga in moderation. Participants observed in a survey indicated that consuming cannabis caused an alteration in their sleeping patterns. Some admitted that when they took dagga they slept better than usual and some admitted that after dagga use they couldn’t sleep. 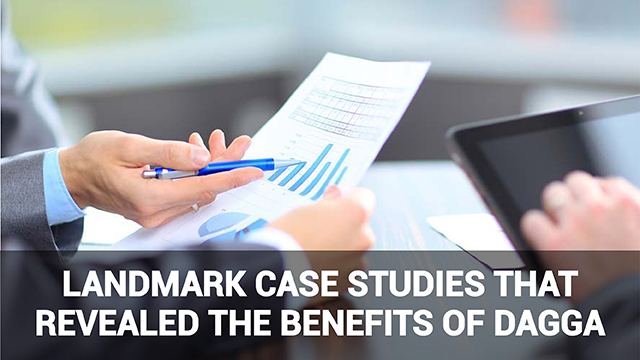 Thus the study produced mixed results. Although cannabis or dagga is now widely accepted as a natural alternative treatment, its consumption does produce several harmless side effects. 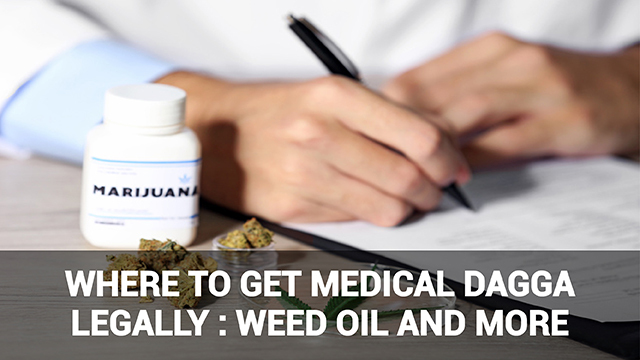 Any substance with mind-altering properties can have adverse effects if abused, but if used responsibly and in consultation with experts, the side effects of dagga are easy to manage and control.